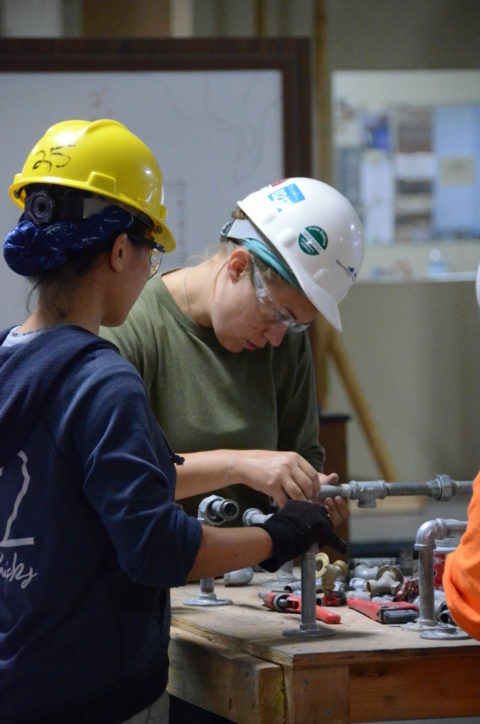 Assessment is an important step in helping women to gauge their level of interest, qualifications, and readiness in relation to specific knowledge and understanding of the construction industry. Although it should help applicants decide if construction the right career path for them, it is not necessarily designed to screen anyone in or out of service. Staff can evaluate participant information and test results to support and deliver timely guidance in planning a participant’s pathway in the industry. The assessment toolkit found in this section is designed to support independent implementation by workforce development agencies, community colleges and other community based employment and training service providers. In this section you will find complete instructions for administering the assessment and evaluating the results as well as all the elements of the assessment toolkit. In addition to aptitude and interest, the program also requires that applicants submit a high school diploma or GED, a driver’s license and proof of eligibility to work in the U.S., as these documents are required for acceptance into an apprenticeship program.